“To my friends, to my family, to my co-workers, and to my fans. There has been a lot of hurt and a lot of confusion in the last few weeks. And unfortunately, I must take sole responsibility. I sincerely apologize and I ask your forgiveness. “Before you judge me too harshly, let me assure you that I had absolutely nothing to gain by my actions. Some say I did it to ‘save his career.’ That is furthest from the truth. “Injustice happens daily. You know that. It flies beneath the radar screen all the time. Injustice has its own “Cloaking Device.” I am painfully aware of that. It hurts, really hurts. And it does not get the attention that it deserves. That fact needed to be exposed to everyone, everywhere, in a major way. I thought about it a lot. I felt what I did was the best plan of action to expose the horrors that my brothers and my sisters go through daily and at this very moment. I felt it was the right thing to do. “I wanted to dramatize the blatant racism and homophobia in this country, my country, this United States. Blacks and gays are a minority in this country. We suffer the greatest amount of bigotry in this nation. Many victims of racism and homophobia are afraid to speak out. I know them personally. They tell me they are afraid. Therefore, I decided to speak for them in a way that will impact society and raise awareness for them. They are my family. “I’m not a perfect person. I have made many mistakes, believe me! I know it was a desperate act of an actor. However, at times you have to do things in a desperate manner when you want to fight for justice. As both a black man and as a gay man, I share the silent sufferings of my brothers and my sisters. They tell me: ‘Jussie, I don’t know where to turn to. I don’t know who to turn to. I live in a personal hell.’ This I heard many times. “I am a celebrity. It is not a position that I necessarily embrace for personal reasons nor for personal gratification. However, because of my public exposure, it gives me a platform. I feel very blessed to have a great career and to have the respect of the public. Yet I feel that when much is given, much is required. And it was required of me to use my celebrity to fight injustice. “I may not have made the best decision, but I was compelled to do something. I know I may have to suffer the legal consequences for my actions. I mentally prepare myself daily for that possibility. But if my act of deception stops a real hate crime in the future, it all would have been worth it. And I gladly will suffer for my black family and for my gay family. “I am sincerely sorry for all the hurt and for all the confusion that I have caused to my friends, to my family, to my co-workers, and to my fans. I appreciate your support and your love. Boo-friggen-hoo hoo hoo. Cry me the Chicago River. Cut the corn and cash this reality check. As Jussie would undoubtedly talk about “justice” in his possible public mea culpa, I would ask him why did he say he was sure that the two men in the New Street surveillance video were indeed his attackers. He did not know the men in the video were his two Nigerian-American friends from the Chicago Lakeview neighborhood. “In an interview that will air Thursday morning, Jussie Smollett told ‘Good Morning America’ anchor Robin Roberts that he is certain the two men featured in surveillance footage obtained by Chicago police are the same men he says attacked him. “On Jan. 30, police released surveillance images of two figures who were in the area at the time of the alleged attack, and described them as ‘persons of interest’ in the case. 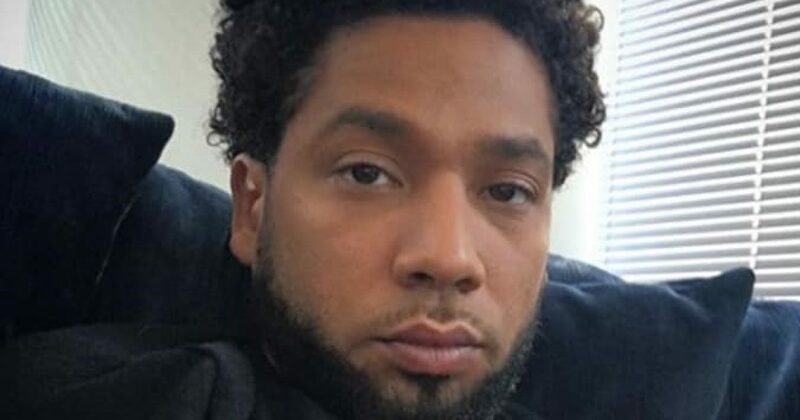 In an interview on ‘Good Morning America’ on Thursday, Smollett said he was convinced that the two were the attackers. Let’s imagine that there was a video of the whole attack. The police would have released it to the media. We would have seen it looped and looped and looped on every television news outlet and on many YouTube channels. Many would have been horrified. There would have been marching in the streets with #JUSTICEFORJUSSIE from the West Coast to the East Coast. Some may have even wanted to retaliate violently. Everyone would have weighed in on it. Mr. Smollett would have gotten tons of love and support. He would have been a martyr who “suffered for the cause.” And the supporters of President Trump would have undoubtedly been demonized right up to the 2020 election. But no such video existed. And the hoax was exposed. “You said publicly that you were convinced that the two men in the video on New Street in Chicago were your attackers. You said ‘I don’t have any doubt in my mind that that’s them. Never did.’ What made you so certain? The principle of “The Oppressed is ALWAYS Morally Superior to the Oppressor” does not hold water. It never did. You were wrong, Jussie. Robert Oliver is a San-Diego based writer and IT professional. He can be contacted at robertcst1@gmail.com.